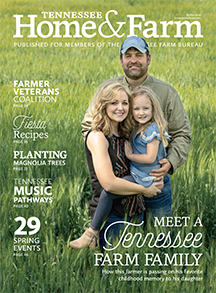 Welcome to the Tennessee Home & Farm store! 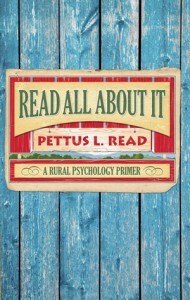 P ettus collected some of his favorite Read All About It columns into a book, perfect for anyone who remembers tobacco stick horses, grapevine swings and the second table. An excerpt: Chicken wings, soupy beans and melted ice cream would show up on our table at times, but to give us a special treat at her house, grandmother would hold back the macaroni and cheese for us smaller family members. She would use cheese from the creamery, and a whole lot of it, to make a dish that would keep us quiet for a good part of the meal. In fact, she even made a dish she called cheese pie that if it was placed before children on today’s dinning tables, the heart doctors in this country would demand the FDA to put grandma away for life. It had enough cheese in the recipe to stop up every vein in your body, but it was “some more” good. The second table at family meals and church fellowships was just a way of life back when I was growing up. I can still remember wondering what it would be like to sit at the adult table with all of the other men at Christmas time or even on Sundays. I could hear them talking and laughing as they passed the plates of fried chicken that included the breast, pulley bone and other meaty parts. Every child back then had to reach the age of creditability as an adult so they too could sit at that table and see bowls of potatoes, green beans and okra before anyone could get a chance to mess up the swirls of butter on top of each dish. However, those days seem to have come and gone. Today, adults often sit at the second table, and the kids are fed first before anyone can get a chance to see those swirls of butter. 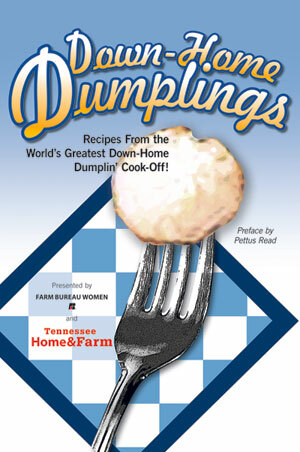 A few years back, when Pettus lamented about how hard it is to find good chicken and dumplings, we got such a response that we decided to hold a contest – the World’s Greatest Down-Home Dumpling Cook-Off. This cookbook is a collection of the dumpling recipes we received – and the heartwarming family stories that came along with them.